Is your child just a number in a large school? 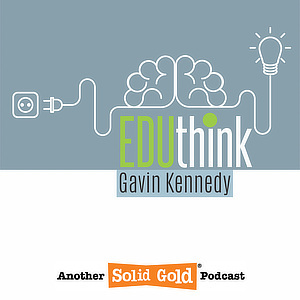 Is your child just a number in a large school? Do the teachers all know their name? Or does it feel like a "sausage factory"? Many children are lost in the crowd and fly under the radar at school. At EduInc, we strongly believe in the benefits of very small classes and the resulting relationship that develops with the teachers. We also believe that all facets of education can be incorporated under one roof (which is where our name originates). We are a mainstream Independent Examination Board (IEB) school registered with the Gauteng Department of Education (GDE) and Umalusi. Our teachers are South African Council of Educators (SACE) registered and we are an Independent Schools Association of SA (ISASA) member. Read More: Finding the right school for your child. It is alarming how many families are unaware they have entrusted their child's education to an unregistered school. 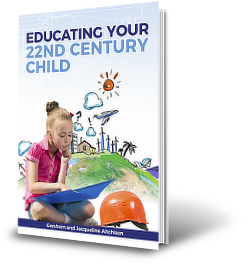 In chapter 8 of our book 'Educating Your 22nd Century Child' we'll walk you through the critical items to verify before enroling your child in any school. From Umalusi accreditation to teachers being SACE registered, we'll assist you with an essential checklist. You are not alone! The questions and problems you have are not unique, nor is the feeling of being on a roller-coaster ride at times. There are people who understand—and can help! Educating children is a service and often a calling. If you think back to your own schooling, you'll probably remember at least one special teacher who really loved what they did and somehow made those lessons better. The good news is that there are still many, many of these people around and available to assist your child to prepare for the ever-changing world they will face. It is widely discussed that the current South African education system is not working as it should. This is constantly highlighted in the media, discussed publicly and is similarly occurring in many countries around the world as we all grapple with what it means to educate children in this fast-paced digital world. Read More: Every child is unique, and will underperform in the wrong environment. Currently, most schools and education systems continue with a Dickensian style—based on the 19th and 20th century industrial worker supply and demand cycle—which is no longer suited to the children of today simply because it is not geared to prepare them for tomorrow. When we say tomorrow, we are referring to the ICT age (information, communication and technology): a fast-developing phase that most players in the education system simply cannot conceptualise, nor are they prepared for it. Finland and Singapore are part of a handful of countries that have realised this challenge and are actively rethinking their existing education systems. Much of the rest of the world seems to be lagging, however, and South Africa is no exception. No longer can we hide behind statements like, "It could never work" and "It has always been done this way." The evidence is clear—our methods are failing, and we need to evolve. 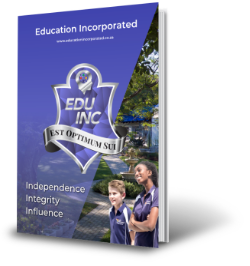 At Education Incorporated Boutique School our vision is to create a learning experience that grooms your child for the world they will experience after they have matriculated. We maintain tradition where it works (in our House system and uniforms for example), but adapt and change it where it does not (classroom setup and no school bells). Information sourced from the internet does not translate into knowledge, nor does it qualify as a skill. Textbook knowledge is valuable but is only the tip of the iceberg and cannot be the sole contributor when producing matriculants. Equally important is how what has been learned fits into the development of the whole person; an individual who is able to adapt, empathise, see the big picture, think broadly, and critically assess their engagement with the world. We pride ourselves on the results we are producing. There are many children who are in the wrong schools with unhelpful limiting beliefs in their own abilities. We help to re-frame their reality and show them a path to an enjoyable and successful academic journey. It is an exciting journey and we want to share in this experience with more children and their families and ultimately change the narrative that is South Africa's education system. Book a personal tour of the school with our Headmaster.